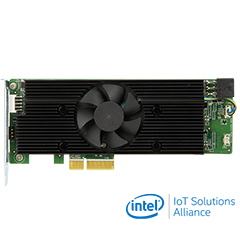 The PICMG 1.3 allows users to protect their investment in PCI (PCI-X) technology while taking advantage of the speed and increased bandwidth of PCI Express. 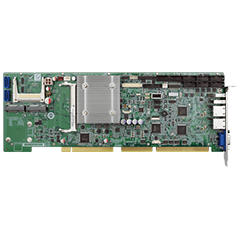 *Same dimension, backwards compatible but half the size of PCI SBC. 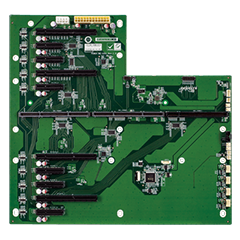 IEI offers PEMUX PICMG1.3, PICMG 1.0, PCI/PCI EXPRESS, PCISA and ISA backplane. 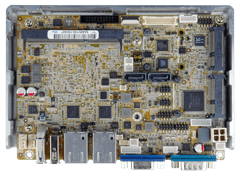 IEI industrial motherboard series including ATX, Micro-ATX and Mini-ITX motherboards. 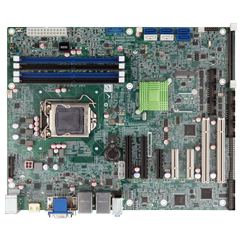 With multifunctional and high performance features, IEI industrial motherboard series are suited to applications in POS, KIOSK, vending machine, healthcare industry, etc. 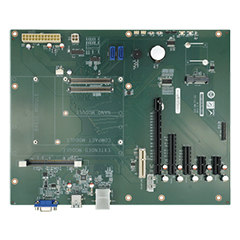 IEI provides various sizes of embedded boards from Pico-ITX to 5.25” SBC and can meet different applications involving data acquisition, video processing, telecommunication, networking, motion control plus the associated field wiring termination, I/O circuit protection, etc. 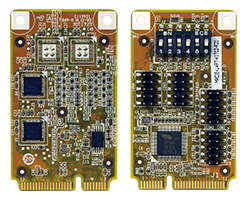 iDP (IEI Internal Display Port) connector is provided on the IEI products. 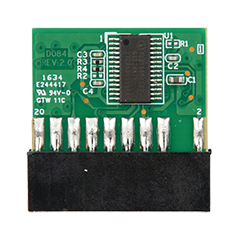 Through the IEI iDP converter cards, the iDP connector can support different display specification, such as VGA, HDMI, DVI-D and LVDS. 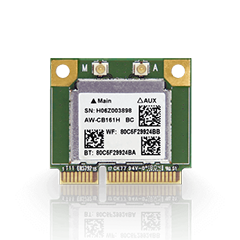 IEI provides industrial communication cards for different expasion and application through ISA, PCI or PCI Express. 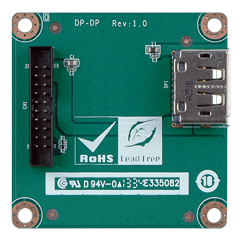 Hardware-based security solution for data protection and reliable authentication via TPM that stores key, passwords and digital certificates. Choosing the wrong CPU cooler for a system can lead to serious overheating, resulting in system shutdown and potential damage to CPUs. 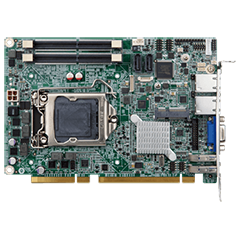 For industrial applications, the following CPU coolers fit the needs of various operating environments, where different levels of cooling are required. 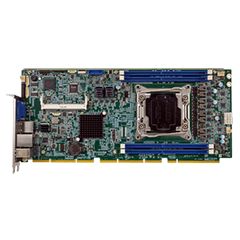 The traditional industrial system needs for stability, durability and toughness for storage drive operating condition, IEI provides various kinds of standard 3.5" device in 5.25" removable drive bay and modules for different demands. Compliant with VESA Mounting Standards IEI panel solutions have four mounting holes compliant with the VESA (Video Electronics Standards Association) mounting standard (75mm x 75mm/100mm x 100mm) on the rear panel for stand mounting and other mounting methods. 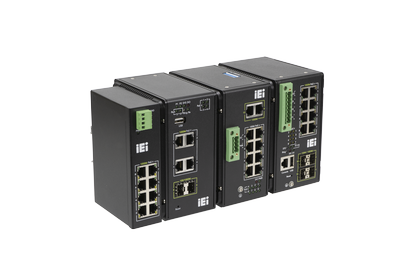 IEI provides industrial 4G LTE router and industrial Ethernet switches that feature industrial-grade reliability, ERPS network redundancy, cyber security, easy management, products are designed for high durability and suitable for use in critical environments (heavy industry/rail industry/power industry),products includes 4G LTE routers, 4G LTE PoE switches, wireless AP, unmanaged switches, managed switches, PoE switches, rackmount switches, M12 switches, media converters, cloud manager, network management utility to meet industrial communication requirements.